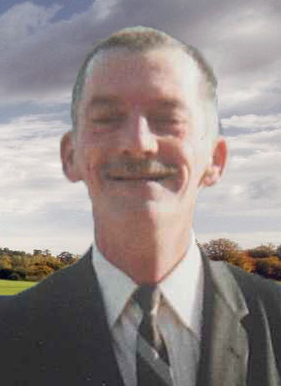 Gordon Essington, age 56 of Bartelso, passed away at St. Joseph’s Hospital in Breese on Thursday, March 28, 2019. Mr. Essington was born on October 22, 1962, in Centralia, IL, a son of Elvin E. and Linda D. (Schlarman) Essington. Gordon had served in the Illinois National Guard and worked as a truck driver and a farmer. He had many hobbies, including fishing, camping, and gardening. Mr. Essington is survived by his children – Tudy Emery and husband Zach of Keyesport, Kayla Essington and spouse Donnie Hulsey of Sandoval and Deva Essington and spouse Chris Ricketts of Sandoval; his fiancé – Karen Nordike of Bartelso; 17 grandchildren – Chloe Essington, Payton, Kourtnee, Alyssa, Shayna, Shelby, and Javier Emery; Summer, Autumnn, and Hailey Essington; Trinity and Bentley Hulsey, Devan, Adalynn, Lydia, and Hunter Ricketts and Sawyer Essington; his father – Elvin Essington of Beckemeyer; and a sister – Stephanie Essington of Granite City. His mother preceded him in death. A Funeral service will be held at 6:00 P.M. on Monday, April 1, 2019, at Zieren Funeral Home in Carlyle. Visitation for Mr. Essington will be held at Zieren Funeral Home in Carlyle on Monday, April 1, 2019, from 4:00 until the time of the service. Expressions of sympathy in memory of Mr. Essington are suggested to the Clinton County Humane Society.